Two Texas icons have combined forces to create the Dr Pepper Shake, available for a limited time. Photo by Jamie Alvear. 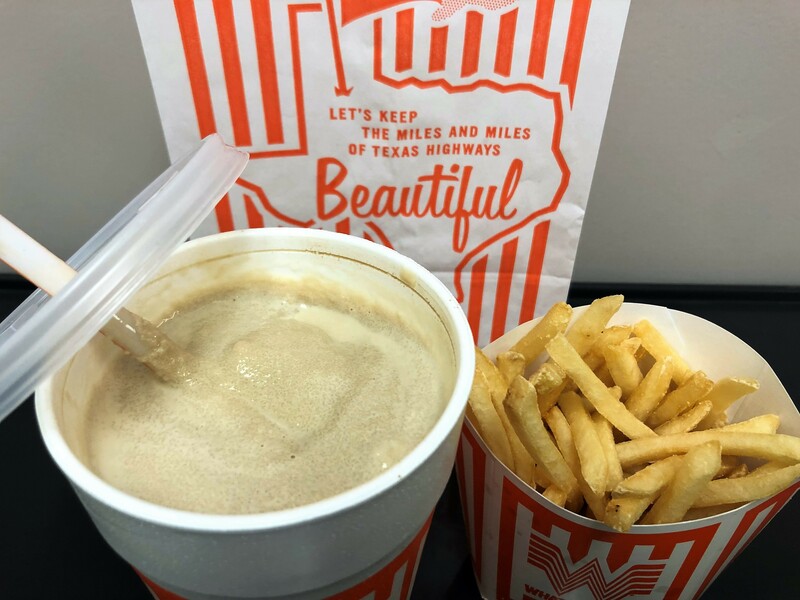 Whataburger’s new Dr Pepper shake is real — and it is glorious. Rumors on social media surfaced this week that the two Texas icons were collaborating on a delicious sweet treat. 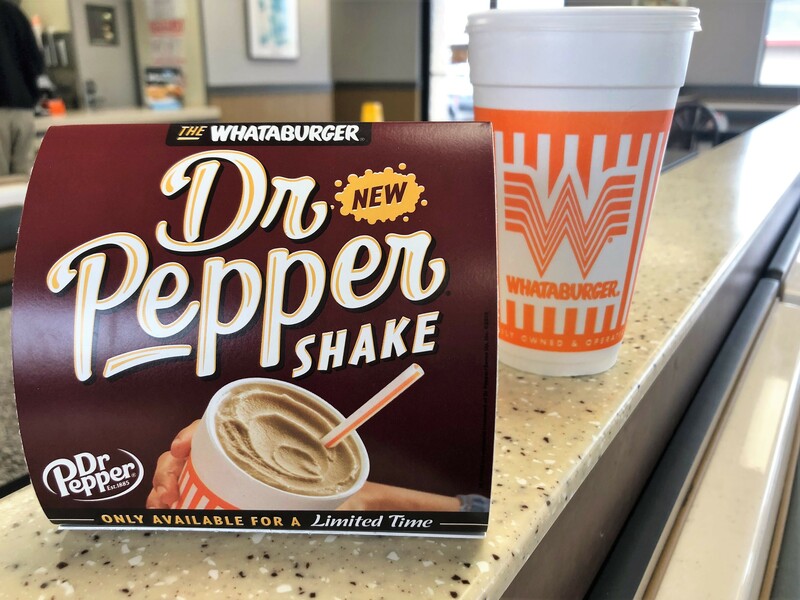 On April 2, Whataburger confirmed that the Dr Pepper Shake is now available for a limited time in parts of Texas, Arkansas and Oklahoma. Dr Pepper was created by pharmacist Charles Alderton in Waco, Texas in the 1800s. Its unique formula of 23 flavors is still a secret, but the prominent notes of cherry and vanilla make it the perfect complement to vanilla ice cream. Whataburger uses pure Dr Pepper syrup in the shake, giving it the authentic soda taste but with a home-spun feel. Recently, Dr Pepper started a petition to become the Official Soft Drink of Texas. To celebrate its appreciation for the Lone Star State, Dr Pepper released a special Heritage collection. The 20-ounce bottles, available only in Dallas, Fort Worth, Houston and Waco, feature 15 unique labels depicting iconic scenes around Texas. Add a Dr Pepper shake to your combo or enjoy it all by itself. Photo by Jamie Alvear. The Dr Pepper shake is available as an upgrade to a combo meal or purchased separately for $2.84 (16-ounce), $3.34 (20-ounce) and $3.84 (32-ounce). The prices may vary per location. Perhaps the Dr Pepper Shake will become the official milkshake of Texas. Have you tried it yet? Comment below with your thoughts. We moderate comments to keep out the trolls, so it may take a little time for yours to show up. It’s very tasty. Get one. I had one recently and thought it tasted like it was mixed with chocolate shake mix not vanilla.